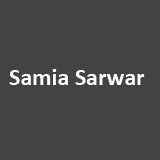 Deemed as one of the most savage ‘honour’ killings to be reported in Pakistan yet, Samia Sarwar’s cold-blooded murder in April 1999 aroused a great deal of publicity and outrage both at home and internationally. While most ‘honour’ killings in Pakistan are committed in tribal, rural, or deprived communities, Samia’s case was different. She was the child of Haji Ghulam Sarwar, head of the Khyber-Pakhtunkhwa Chamber of Commerce, and her mother was a doctor. Four years before her tragic demise, Samia and her two children came to live with her parents – she complained of incompatibility with her husband – and was pursuing a degree in law. During this period, Samia fell in love with an army officer named Nadir, and due to her parents’ refusal to let them marry, they planned to elope. Threatened by her father for sullying the family’s ‘honour,’ Samia fled to Lahore where she took refuge in human rights lawyer Hina Jillani’s shelter. However, the mother pleaded with the daughter to meet with her on the false pretext that they had accepted Samia’s desire to marry Nadir and that she was arriving with the divorce papers of her first marriage. Samia believed her, not knowing what was to come. On the afternoon of April 6, her mother entered Jillani’s office, accompanied by an unknown man, who was allegedly helping her to walk. Without a second to spare, he shot at Samia, splattering blood on the wall behind her as she instantly fell to her death. Running out the door where Samia’s uncle awaited them, the hitman noticed a police guard crouching behind the reception desk, but before he could shoot him, the police guard shot him dead first. Amid this chaos, Samia’s mother and uncle took Jillani’s colleague Shahtaj Qizilbash hostage and made their escape. After the brutal incident, Jillani went to court, thinking this to be an ideal case for prosecution. “When the FIR was lodged, Samia’s uncle, who had taken our colleague hostage, was prosecuted and fined, and the case was sent for trial. But even before the hearings could begin, Samia’s parents used the Qisas and Diyat Law to thrash out a compromise among themselves and escape any prosecution under the law,” says Jillani in conversation with Newsline. Shockingly enough, certain sections of society and several religious organisations overwhelmingly sided with Samia’s parents and accused Jillani and her sister Asma Jahangir (also a leading Pakistani human rights attorney) of misleading women in Pakistan and contributing to the country’s bad image abroad. Fatwas were issued against the sisters declaring them “kafirs” and instigating the “believers” to kill the two women. In wake of the harassment faced by Jillani and Jahangir, the then PPP Senator Iqbal Haider tabled a resolution in the Senate condemning the killing of Samia. In response, ANP leader Ilyas Bilour questioned the morals of Jillani and Jahangir: “We have fought for human rights and civil liberties all our lives but wonder what sort of human rights are being claimed by these girls in jeans.” Out of 87 Senators, only four supported the resolution: Iqbal Haider, Aitzaz Ahsan, the late Husaain Shah Rashdi of the PPP, and MQM’s Jamiludin Aali. Among those who opposed it included Mushahid Hussain Syed, Javed Iqbal and Akram Zaki. Justice remained a far cry for Samia. “Not only was there no justice for Samia because of the flaws in the laws themselves, but also, when the resolution on ‘honour’ killings went to the Senate, they refused to pass it,” says Jillani. Under the Qisas and Diyat Law instituted in 1990, a murderer can be pardoned under two circumstances: either by paying blood money to the victim’s family (diyat), or if the victim’s family compromises and forgives the murderer. In this case, Samia’s wali (her father) ‘forgave’ her mother and uncle who were both obvious accomplices to the murder, thus rendering the case resolved. No convictions were ever made.